Been There Baked That: Grab some Almonds! Any almond lovers out there? I always try to keep a small stash on hand, whether it be for homemade granola, adding into cookie dough, topping on salads or a quick snack. They are so good for you and pretty darn tasty too! 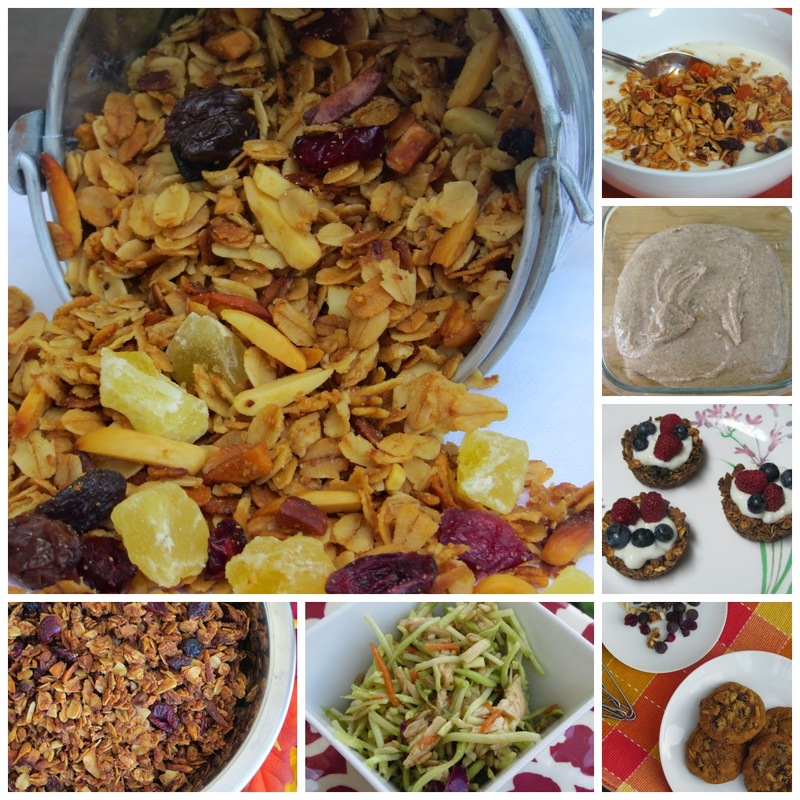 Today I thought it would be nice to revisit some of my recipes including almonds and share some of their amazing benefits with you. *Almonds are among the lowest calorie nut. One ounce contains: 160 calories, 7 grams of protein, 3.5 grams of fiber and 9 grams of heart healthy fat. *They are an excellent source of many nutrients that help in the development and health of the brain. *You can store unshelled almonds in a cool, dry place for several months. *Including almonds in your diet can help with the following: maintaining healthy cholesterol levels, strengthening the immune system, reducing your risk for Alzheimer's disease, improving skin complexion and regulating blood pressure. See, lots of good stuff there! Tell me below, what are some ways you work to include almonds in your own diet? I've never baked with almond flour, but that would definitely be one way I'd love to experiment more with almonds. I've also recently come across a wonderful company, Nuts.com based out of New Jersey that specializes in all varieties of nuts. I am a big believer in buying local, but I also love supporting close knit family companies like this one. Just a couple items in particular that I love: they roast all nuts and pop corn the same day as they ship your order. They also use recycled cardboard boxes and biodegradable packing peanuts on all packages. And lastly, at the moment they currently offer 250 organic products. I encourage you to visit their page, learn more about their company and take a peek around at all the almond products they have to offer. I'm especially interested in their almond flour and of course anything chocolate covered looks pretty tempting!